Handyman Special Weatherford | Call (817) 631-3429 NOW! Great Handyman Special Weatherford, TX. You fix, you save! Single-family home located near downtown Weatherford and close to shopping, schools, restaurants, church, and has a large yard. 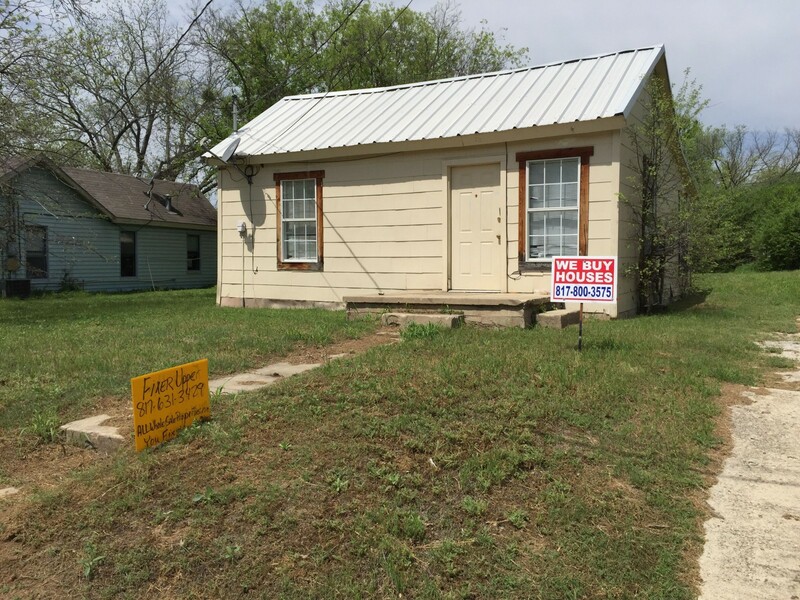 This Landlord Investment Property fixer upper has approximately 598 sq ft with metal roofing. Available April 4, 2015 for $34,000 OBO – Hard Money and CASH Buyers ONLY. Buyer pays all closing costs. For more information visit www.AllWholeSaleProperties.com or call Tim NOW for questions and scheduling a viewing. Call NOW (817) 631-3429! Move-in within DAYS!